May you rest in peace brave Hero. Your dedication to serve and protect will never be forgotten and forever honored. Thoughts and prayers to your family both blood and blue. So sorry to hear of this. Rest in Peace Brother Officer. Praying for your law enforcement family and all his love ones. Rest in Peace Officer Heidelberg. Thank you for your service. My thoughts and prayers are with the Heidelberg Family and the Midland Police Department. Thank you so much for keeping the City or Midland, TX and it’s residents safe. My family and I will forever be thankful! RIP, Officer Heidelberg. Praying for you and your loved ones. Prayers and condolences for the family. God bless your family with His peace. RIP good and faithful servant. You served our community with honor, bravery, and professionalism, and for that I thank you brother. My family and I live in the city that you safeguarded. We slept soundly at night under the blanket of protection that you provided. You will be honored and remembered, always. To MPD, we mourn with you. MCSO will be there for you. You were there for us when we lost Mike and we could not have gotten through it without you. Having been in your shoes I can tell you that you have some rough days and weeks ahead of you. I can also tell you, that this will make you stronger. I promise. Hang in there, look sharp, stand tall, be proud. You have an agency full of amazing officers, top to bottom, and I'm proud to stand with you. All of you will be in my family's thoughts and prayers. Honored Semper. I know we will all miss you and do our best to honor you. Walk peacefully now brother for it's our turn to carry the burden. What a tragic combination of events that led to your untimely death, Officer Heidelberg! This certainly should not have happened to the Officer that came to save this homeowner and I am sure if he could re-live it, things would be very different. I am heart- broken for you and your family today and I will be praying for all of you. You are a Hero and I know many grieve your loss. I wish you Peace now, and I truly Thank You for your brave service to our country and your community. 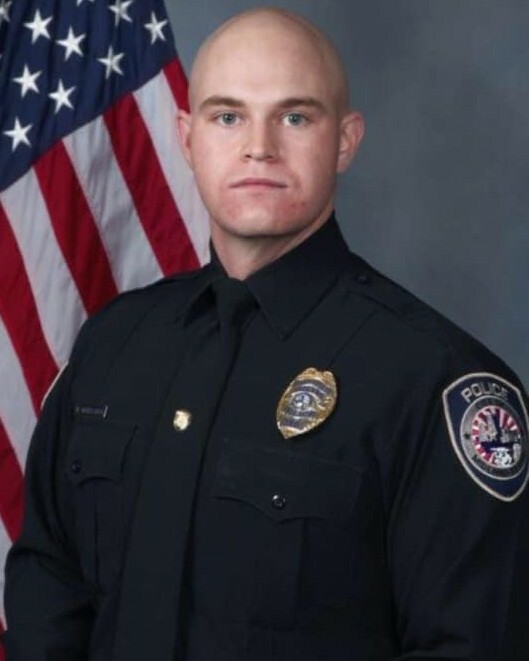 The Abilene Police Department extends its prayers and condolences to the family, friends, and coworkers of Police Officer Nathan Hayden Heidelberg following his death. We are grateful for services rendered. Thank you for your commitment and service. Rest In Peace. God bless you Officer Nathan Hayden Heidelberg for your service and sacrifice. Thoughts and prayers go out to your family and friends, and to your brothers and sisters from the Midland Police Department. Rest In Peace Brother.